Captain Risky is in da house - and causing havoc. 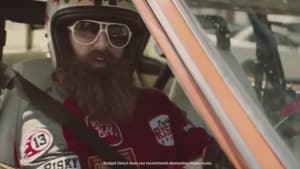 The latest instalment in Budget Direct’s “Get More” campaign shows tne infamous Captain Risky giving an unconventional tour of his house, using his motorbike. Captain Risky jumps across tabletops, couches and rides up carpeted stairs, demonstrating yet again why Budget Direct will never insure him. The campaign is running across television, digital and social channels.